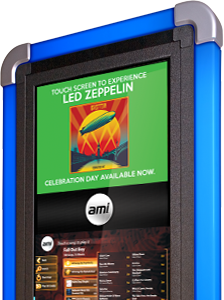 AMI Music puts control of your favorite jukebox in the palm of your hand. Browse the catalog, load credits, and select songs without leaving your seat! With AMI Music, the soundtrack to your night out is just a touch away. Connect with your favorite jukebox to find out what’s playing, view special playlists, and play music right from your seat. Not sure where to start the party? Let our location finder guide the way! And thanks to AMI Music’s digital wallet, you’ll never have to ask the bartender for change again.